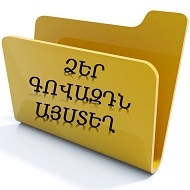 Ներբեռնել լավ որակով ( PDF) ԵՐԱՇԽԻՔ: GUARANTEE. գարընթի: (էջ 166-169). apply to parts of rapid wear. will be made for your account. be extended by three months. stocks of spares are limited. Previous post: ՀԱՅԵՐԵՆ — ԱՆԳԼԵՐԵՆ ԶՐՈՒՑԱՐԱՆ: ԵՐՐՈՐԴ ՄԱՍ: ՓԱԹԵԹԱՎՈՐՈՒՄ: PACKING.